So, text messaging. Can this be an evangelistic tool? Well, let’s find out. We’re picking up where we left off in our previous conversation with Jason Alexis, co-founder of PastorsLine—a software that allows churches to use text to stay connected and to propel the Gospel. 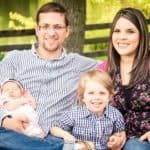 A former mechanical engineer, Jason dedicated his life to various forms of online evangelism. He is also the communications director for Houston Central SDA Church. He relies heavily on data-driven, digital marketing to help churches achieve their goals. And he’s a typical family man and a digital disciple. Jason, welcome back to the program. How are you? Thank you so much for having me again. I’m excited to be here back for Part #2. Thank you. Yes. I know in Part 1 of the podcast we were exploring PastorsLine and seeing how churches and ministries, I guess, can use texting to bring their congregations closer together, to stay in touch. I think there was even one testimonial about using PastorsLine for Bible studies. Can you just give us a little more background or practical ways that churches can use text for evangelism? …you would see...you get this note saying, “Hey. Do you like me? Yes or no.” And the reason why somebody would pass a note across a class instead of walking to talk to the person is because it’s less intimidating and it forces you to be to the point. ...Let’s tell them about the Health Fair” immediately. Yeah, that might overwhelm them and I’m thinking if I were a guest, and I got like a personal text just...it seems if the church leadership noticed that I was there I would be touched by that. Exactly! And it’s the whole Jesus model. Jesus met needs. Evangelism, year-round evangelism is focused on meeting people’s needs, not necessarily growing the church or getting people plugged in and connected. They didn’t come to get plugged in and connected. They have specific needs that you need to meet, so if you communicate with that in mind… We already know that texting will work but it works so well that if you don’t do it well enough, people would opt out. They can opt out by replying ‘Stop’ or most likely, they might just block you. But from a church perspective, if you look at the discipleship process, you can use it for guests. You can use it for new believers, a way to keep in contact, maybe you have a series of things they need to do or just to keep them in the loop. For most Adventist churches, that’s just announcements and that’s ok. And I work with different kinds of churches. 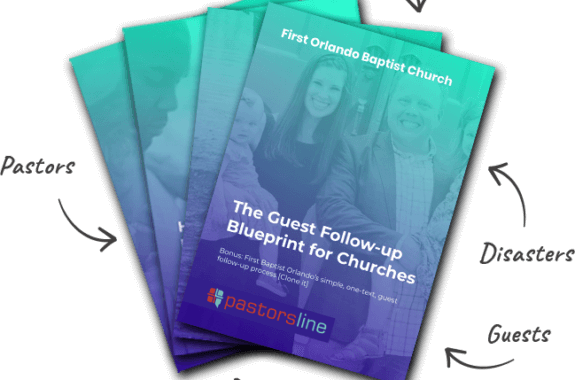 They have like a new believer’s class and we do things differently but again, you can plug texts for guests, for new believers, for your staff...getting people organized on a weekly basis. I use that at my church to organize a media team which is responsible for the service. And when we have a good service, everybody is in a good mood and we have a good flow, right? And you can it for leadership training. So, there’s so many ways… We could go to the typical announcements, emergency… You know there is a… A one church we were at, there was a gas leak, so we were able to tell people, “Hey, let’s…we would be delayed one hour, two hours.” Snow. In areas that have massive blizzards. So, you know, announcements, alerts, emergency announcements and announcements and all of those things but my favorite is always going to be the engagement, the building a relationship, the meeting the needs, and using a tool like text to do so. Facebook page.” And they may be a little bit intimidated about getting involved in digital evangelism or using a tool like PastorsLine. What would you say to a leader or a church member, a ministry leader who feels as if they don’t have enough experience to get deep into digital evangelism or using a tool like PastorsLine? ... and there’s ads which is the new, latest, hottest thing and with churches doing Facebook, ads to reach more people for your public events and for your health fairs and stuff like that. I would say first of all, I do have a book, “Rethink Ministry” that might be helpful. It’s a very basic book that walks you through, step by step, of how to launch or restart / revamp a digital strategy. There’s something to remember: PPT. People, process, and technology—in that order. Well, I like to say process, people, technology. And the reason I like to say that is if you can understand what your church is and how you do things and how you’re different then you can write what a strategy, or process, or digital strategy is...or strategy first of all—forget digital. Write your strategy because here’s the thing. A digital strategy, anything digital, is a reflection of what you do offline. Oh, wow. I like that. So, digital is an online representation of what you do offline. So, again, you’re not really doing something different. If it’s too different from what you do offline, right?, then it becomes a burden. It becomes a strain and that’s not what you need to do. So, first figure out what your offline process is for evangelism and then, write the process. And then after the process, you know...we’re going to assume that you have the right people or as a pastor, as a leader you know how to train people. You know how to empower people. We wouldn’t talk about that. There’s books and that. The last step is the technology. They move away. And then your whole entire evangelism strategy or follow-up strategy falls through the cracks. So, process, people, and THEN technology, you know. So that’s what I’d recommend. I’d say though, the most important pieces of technology you should focus on if you are confused is definitely the ones that allow you to communicate and build relationships. That’s all what matters. So, tools like texting, having your website updated (I saw a recent article that you guys put out) is important. I’ll tell you this: people are walking through Houston Central Seventh Day Adventist’s doors because we focus on the technology which is communicative. It provides information and we can answer questions. And that’s the generation we live in now. Before we go into a store or anything, we go online, we Google, and we see what there is online and that sort of drives us there. Exactly! And if I was probably too verbose in my response, there is specific steps that I wrote about in the book. You can get the first few chapters for free but the steps...if you want the step by step by step format, there is an audit...you start with audit first (I don’t want to get too deep into that). You start with audit and then you figure out your branding. Branding is not just your logo. It’s how do you want to be represented online and making sure that your offline experience, your story, your story brand. And then you go to content. And then you go to websites and apps. So if you want that step by step approach, you say, “I want to get started, Jason. I love what you guys are saying but I need a step by step...” That’s great for you. If not, if you’re a little bit more advanced and you’re just trying to figure out, “OK, where should I... We’re doing...I know we’re doing a bunch of things. Should I add text? You know, should I create a mobile app?” And I can say categorically that most churches may not need a mobile app. And maybe we can have a Part III on that. But I would say that text messaging is a communicative piece. It’s easy to use and it gives you the…You’re able to reach the person in their back pocket wherever they are. If they’re at the gym . So I would definitely recommend anything that relates to communication, text messaging being #1. Also, add things like email if you could. Definitely. I appreciate it so much and maybe, you listener, perhaps you’re a church leader or you’re a member and you want to get involved in digital evangelism and the information may seem a little bit more...a little bit overwhelming, we are assured, especially in Acts Chapter 1 that God will give his power. He will give his Holy Spirit and he will help us to be his witnesses. And whether that’s online or whether it’s next door, we can count on God’s grace to help us. Jason, if someone wants to contact you, how can they do that? How can they find your information? Yes, thank you for that. I would go to pastorsline dot com. That’s pastors with an ‘s’, l-i-n-e dot com. We have tons of free resources. We actually have a free ebook if you kind of just want to understand and read it through. There’s a chat bubble right below...on the website...that’s probably the best way to kind of pop in a question. Do mention that you’re an Adventist organization if you are or a ministry and we do have some additional resources to kind of, you know, get you started on a trial if you want to see if it’s a fit for you but pastorsline—that’s pastors with an ‘s’, l-i-n-e dot com, pastorsline dot com and click on the chat bubble. I’m also on Twitter and Facebook—Jason Alexis.